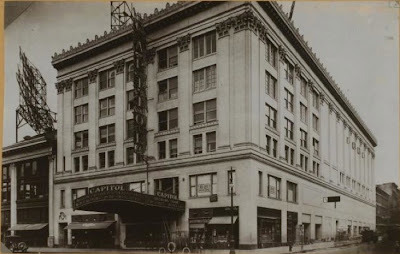 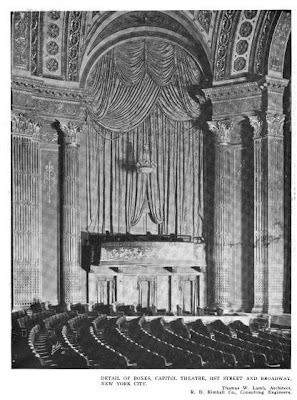 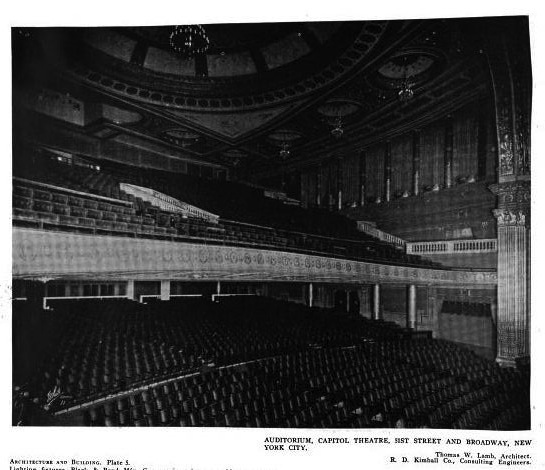 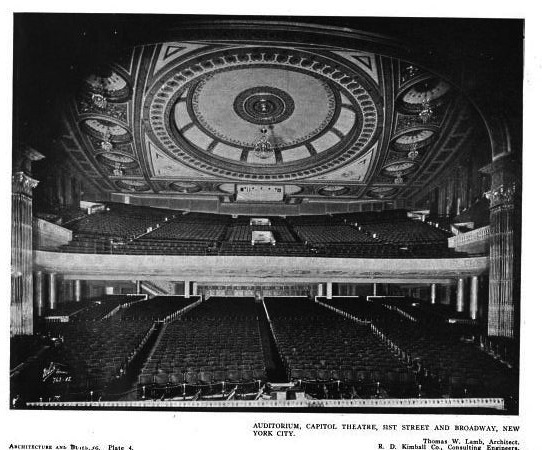 The Capitol Theatre designed by Thomas W. Lamb c. 1919 at 1645 Broadway in New York City. The movie house was acquired by Marcus Loew in 1924 and became the flagship Loew's Theatre. 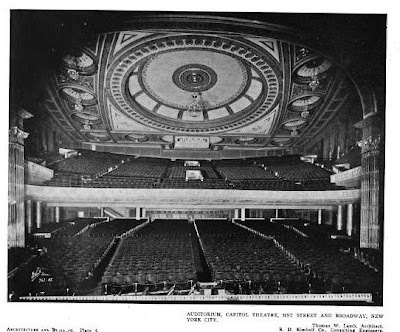 The final premiere (among many) the theatre hosted was Stanley Kubrick's 2001: A Space Odyssey in April 1968 (click HERE for video of the opening). The theatre closed in September of that year to be demolished and replaced with the Paramount Plaza building. 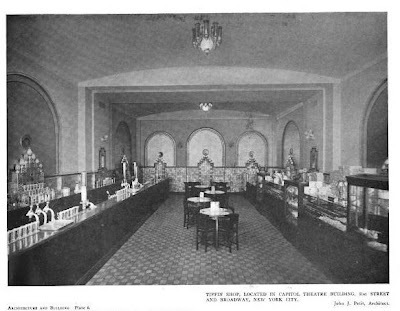 Exterior photo from the New York Public Library. 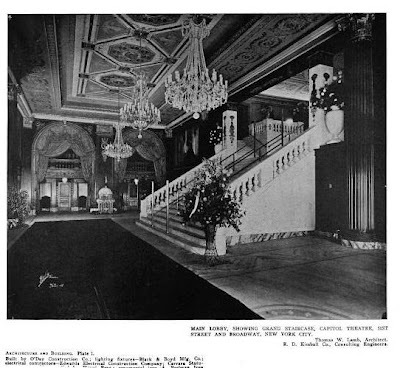 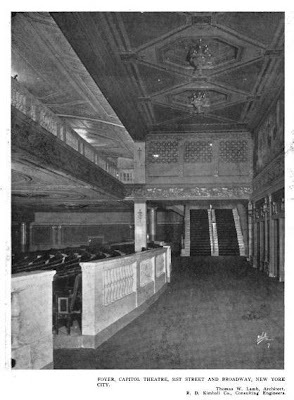 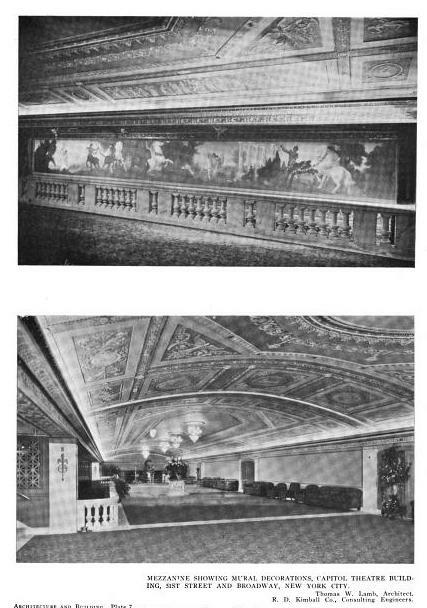 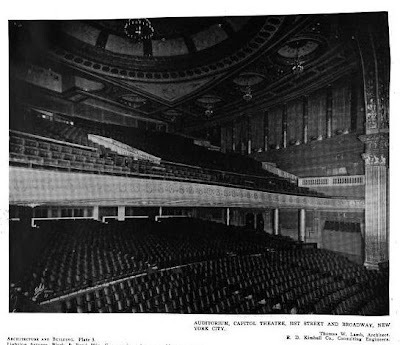 Interior photos from Architecture & Building, 1920. This was a building built for a full night out-on-the-town. Never again will we see public buildings like this.